Sainte-Chapelle is an incredible cathedral-style chapel that’s located in Paris. This Gothic style property houses 1113 stained glass windows that were constructed and installed over a seven-year span, which is quite impressive for its time period. Sainte Chapelle was built with the intention of keeping precious Christian relics safe and sound, delivering a sanctuary for all those that visit. The stunning stained glass is arranged across 15 windows that are each approximately 50 feet tall. With 1113 different scenes from the Old and New Testaments, this historical piece presents the recounting of the history of the world. The custom stained glass makes the building look bright and almost made completely of glass. This tourist attraction brings people from all around the world. Creating your own custom stained glass can really enhance your Denver church, delivering numerous benefits. Inspirational stained glass can play such a huge role in the worshipping process, attracting new congregation members while retaining old members. Custom stained glass can portray whatever messaging is most important to your church making it that much more special. Taking inspiration from historical pieces of art is always a wonderful way to create something spectacular. 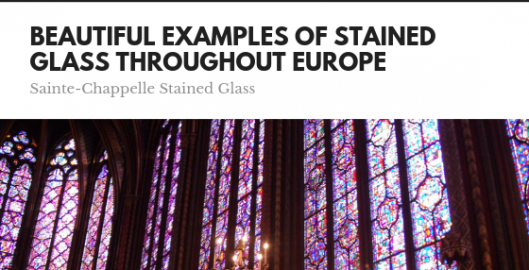 For more information regarding beautiful examples of stained glass, please contact us!